I do a lot of projects and want them to be more than just pretty, I want them to be usable. 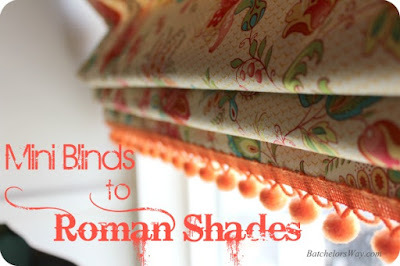 Remember these adorable roman blinds I made for Ashlee's room? I love them, and she uses them everyday, but the other day I noticed they weren't pulling up right; you couldn't see the cute pompom detail when you pulled them up. Upon further examination I found the cord had ripped right through the vinyl slats. It ripped through all three spots the strings threaded through, on at least two whole slats. I did not want to take the whole thing apart to fix it so I bought some dowels for reinforcement, but they weren't long enough. My window is 50" wide. I purchased an adjustable sash rod at Walmart for $3.94. I pulled the two sliding pieces apart and had two rods. I then just hand stitched them in place over each pull string. 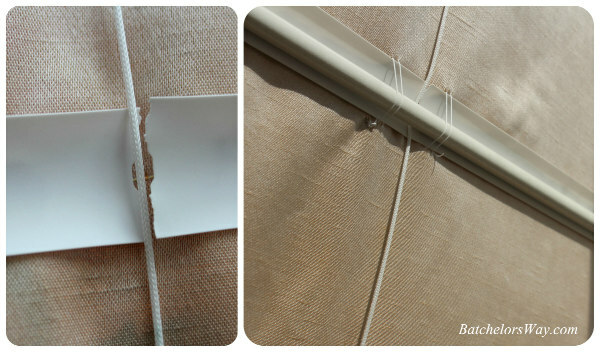 The rod gives the support, but if I were to do these blinds again I would add these supports while making them or I would use metal mini blinds. Here is the exact rod I bought , click on it for the link. My solution is working great! 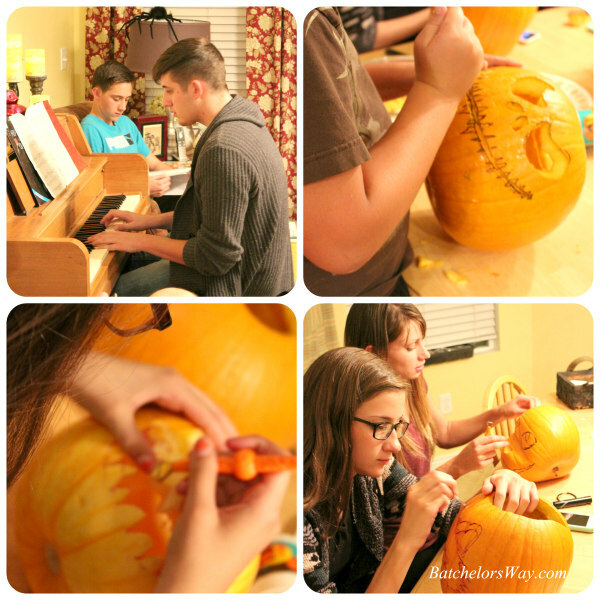 I know it's late, but I just had to share a few Halloween photo's. 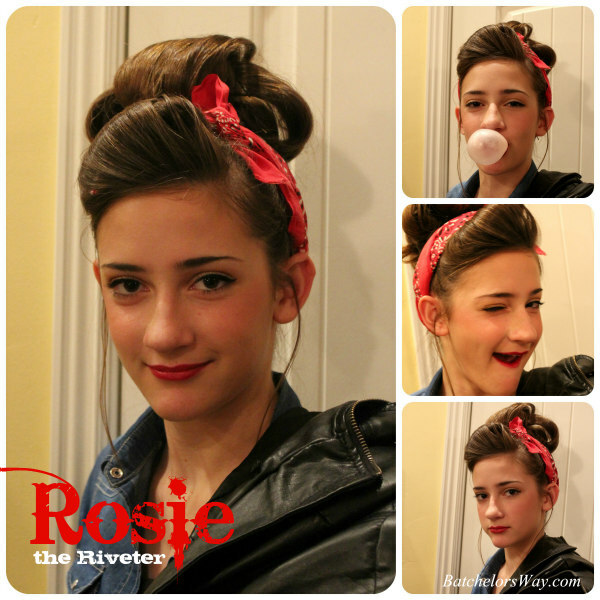 Ashlee dressed up as Rosie the Riveter! 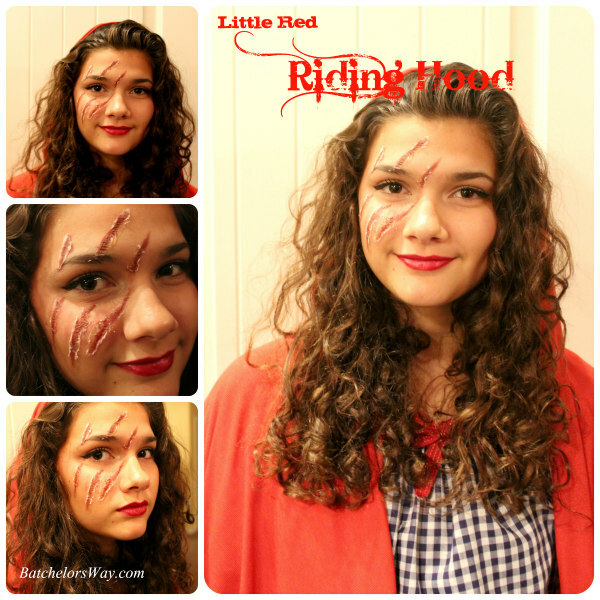 Em wanted to be Little Red Riding Hood with a twist! I think she barely got away from the Big Bad Wolf!! We created the deep scratches with Karol syrup, toilet paper, and red make up! It only took a few minutes!! And Branden was a gorilla!! After his makeup he took off for trick or treating before I could get a photo!! But he looked cute scary! 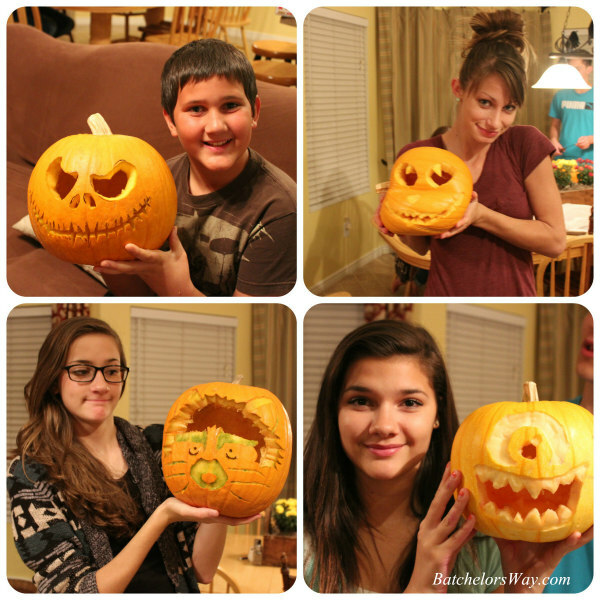 Pumpkins cute...or scary...kids good looking...like the costumes, BUT my favorite is Rosy the Riveter...especially the bubble gum photo and particularly the wink photo...love it! I gather she's not quite as quiet and shy as she looks in the large photo. Also, the scratches are really realistic! All your girls are gorgeous...Dad better keep an eye on any beau! Good looking boys too...heartbreakers all!